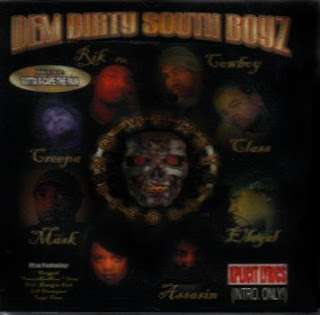 Dem Dirty South Boyz is a group from New Orleans, LA. It consists of Assasin, Creepa, E-Legal, Mask, Cowboy, Class and Rik. 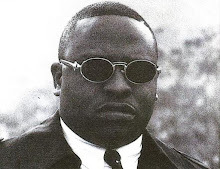 Gotta X-Cape The Pain is their debut album and it was released in 1998 on No Mursy Records. Production on this dope record is done by Rik and Sess 4-5 of S.A.C. Mafia. The beats are gangsta and they flow very smoothly. The hooks and samples are all tight and they easily stand out. The lyrics are certainly up there as well. All members contribute constantly with their distinct tones and vicious rhymes. The album has one feature and its from Sess 4-5 of S.A.C. Mafia. Although its a short release lasting only 8 tracks, it does not hold back on the raw content. Also the only explicit cut is the intro and the rest are all free of profanity. Overall this is an example of a record that is solid in and out. The album managed to stay in the underground and went out of print very quickly. This was a Hot EP. Check out the latest from some of the members at Hypno Entertainment..